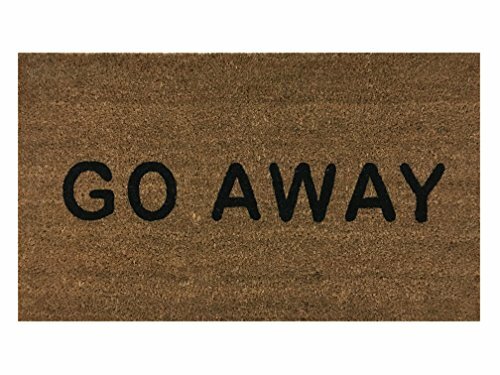 This "Go Away" doormat is perfect for indoor and outdoor use. This doormat is 18 x 30 inches wide, and inch thick. Made with natural fibers, this doormat wicks away moisture for quick evaporation without an odor. Liquids become trapped instead of floors, doorways or mudrooms getting slick and dirty. This long-lasting mat is finished with a secure, non-skid rubber backing that keeps the mat fixed in place. This doormat keeps low profile under opening and closing doors.